There are many popular messaging applications which allow us to exchange messages with our contacts to hold conversations through text messages. Out of all the messaging apps, most of the users prefer WhatsApp, Telegram, Facebook Messenger to make an easy conversation. However, there is a function that is missing in all these applications. Did you know that? Yes, you are right. Being able to program the automatic sending of messages through any of the messaging applications that we use in the mobile. What if I tell you that only one application is enough to automate the sending messages through almost all the messaging apps on our mobile? Awesome isn’t? Yes, in this article I will show a tool that allows applications to send the messages automatically for the day and time we want. 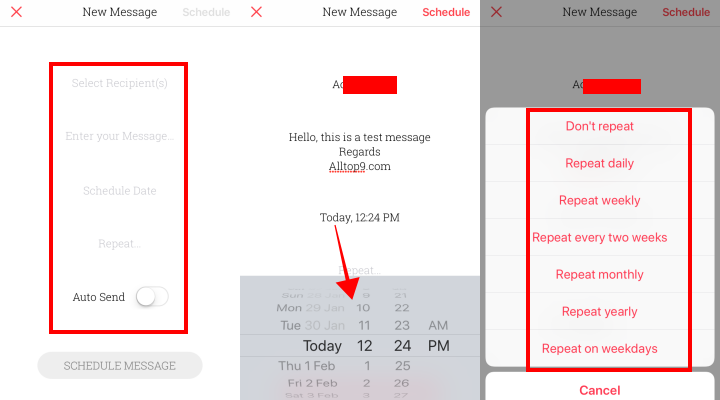 To automate the messages on WhatsApp, Telegram and other multiple messaging applications we use an app named “Scheduled — Schedule your text messages”. This application is available for both Android and iOS platforms and it is just for a few days. Although it is just for few days it is recommended to use it at least once to experience all the features of this Scheduled application. Go to the Google Play store and your App store to install the Schedule application on your Android mobile and iPhone. Open the app and click on the continue to proceed further. In the scheduled app, we have 3 plans. 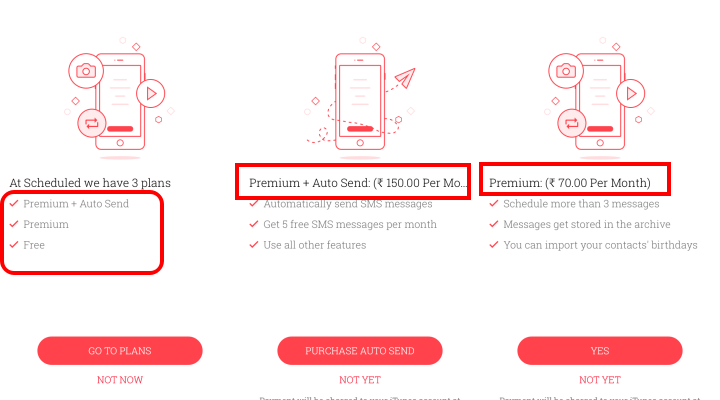 Premium plus Auto send, Premium and Free. If you want to go for the premium you can go to plans if not click on not now option. I suggest you try the app first and decide the option next. If you want to know the prices for each plan, you can see the below image to know it clearly. 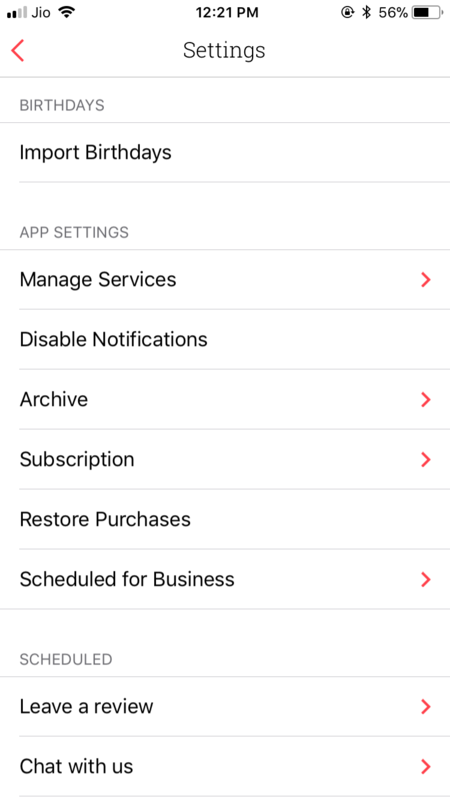 Click on the Not now option to get started with the Scheduled app. 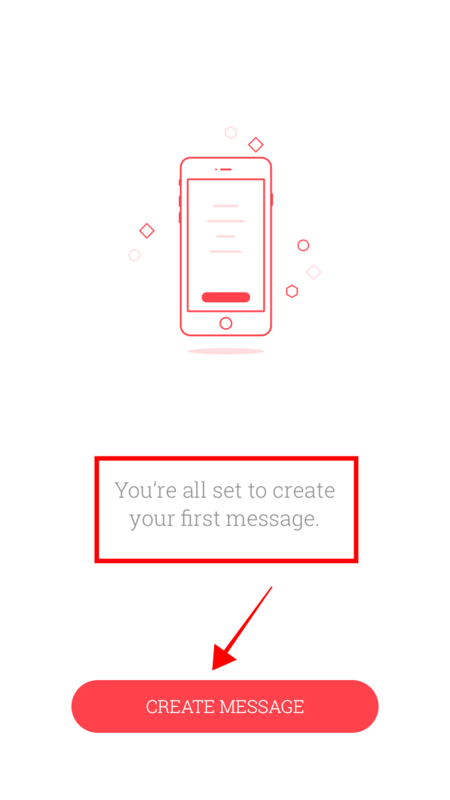 As you are in the free version now, you are all set to create your first message now as shown on your mobile screen. 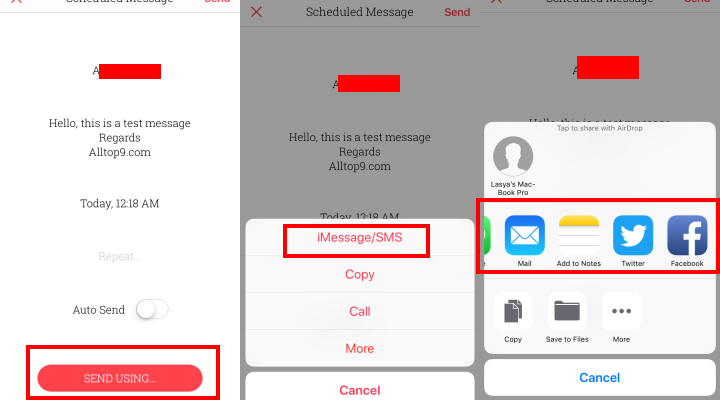 In message creation section, you have to select Recipient(s) by allowing access to your contacts, next enter your text message then schedule the date, day and time so that the message will reach the other side on that day and that exact time. 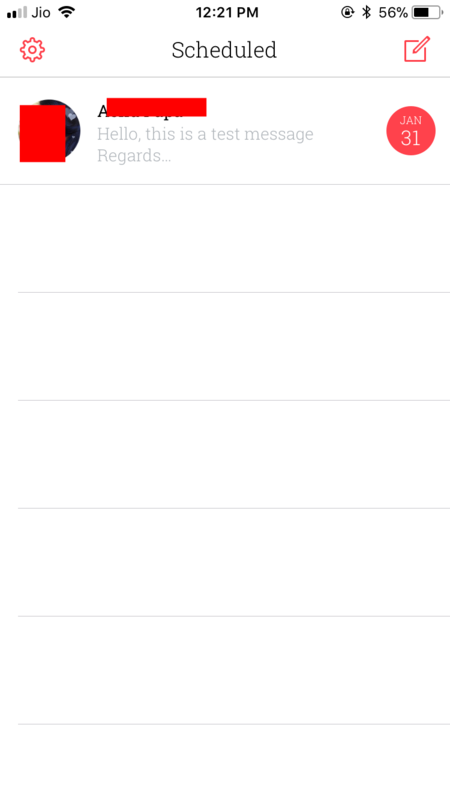 If you want to repeat the message daily or weekly or yearly, whatever you can select from the given options in the scheduled app. See the below image for the clear process of scheduling the message. Auto send option is available for only premium members. Now, we have to click the send button manually to schedule the message. Once all the required fields are filled you can choose any of the platforms to send a message at that scheduled time. Platforms like WhatsApp, Telegram, Facebook messenger, and other multiple platforms are supported by the Scheduled app. Once you have chosen the application click on save and send option to schedule the message on WhatsApp, Telegram, Messenger or other selected platform. Once schedule it is shown on the screen under scheduled messages. As we already discussed that at the moment, only for the SMS the shipment is automatic since the other messaging applications offer some limitations in this regard. However, we can schedule the shipment through them and scheduled will show a notification to remind us that we have to send the message at the scheduled time. Therefore, we can avoid forgetting of sending the message although for that we have to take another step manually. If you want to unlock that function because we are the ones who need to send SMS in a scheduled way, we have to pay some bucks per month to enjoy it. There are many more features in this scheduled app like merging birthdays, anniversaries to this app and set a reminder to all the occasions we wanted. Interesting isn’t? 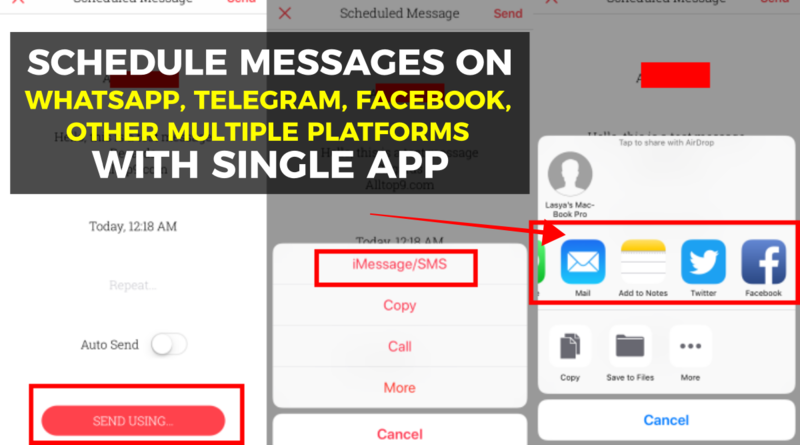 This way we can schedule the messages on WhatsApp, Telegram, Messenger, Hike, and other multiple platforms with just one single app. I hope this article will help you to send messages to the required person without forgetting and late. If you have any other queries let us know them in the below comments section and we will get back to you as soon as possible to solve all your queries. 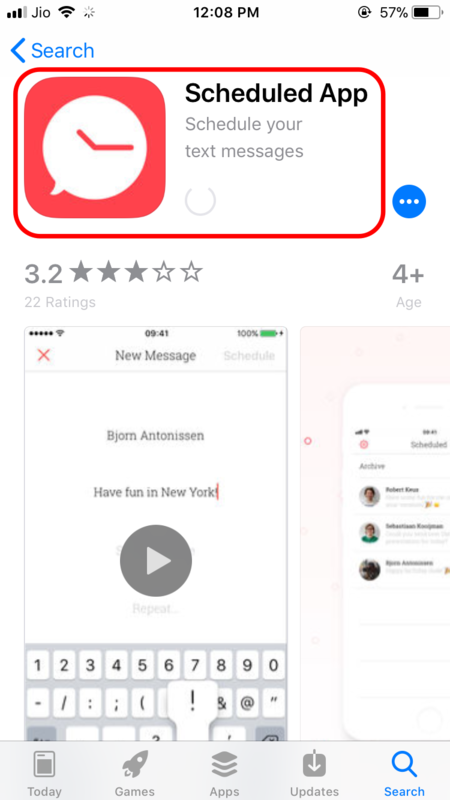 What are your thoughts on this Scheduled App for multiple messaging platforms on our mobile?